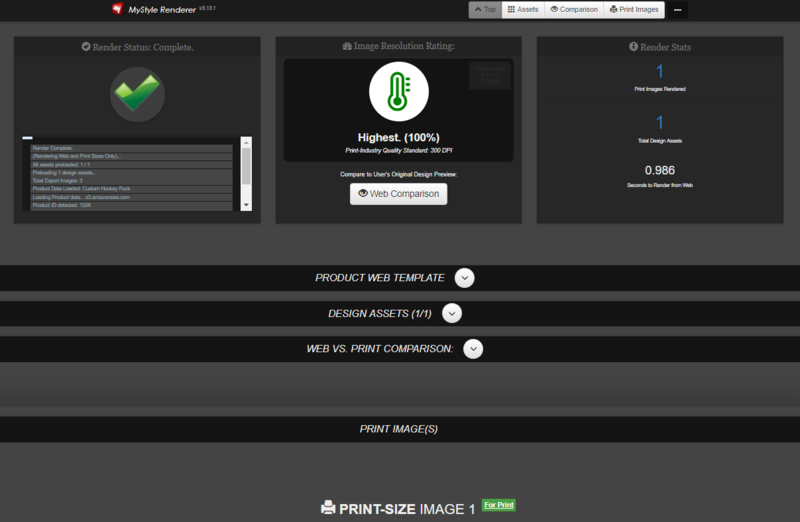 Most of the MyStyle value is seen on the front-end in the user experience, designing their creations. Here’s a canvas print product with a bleed (red dashed line) for the wrap-around. Step 2 is selected here showing the images menu. The clouds are from Step 1’s included stock backgrounds library. 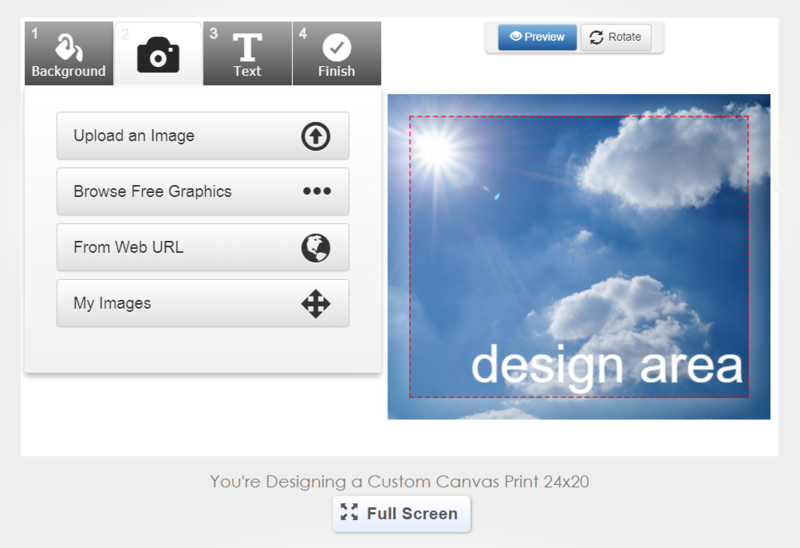 This app auto-generates on page /customize/ of your wordpress site. It auto-installs to this page, you don’t have to create it. 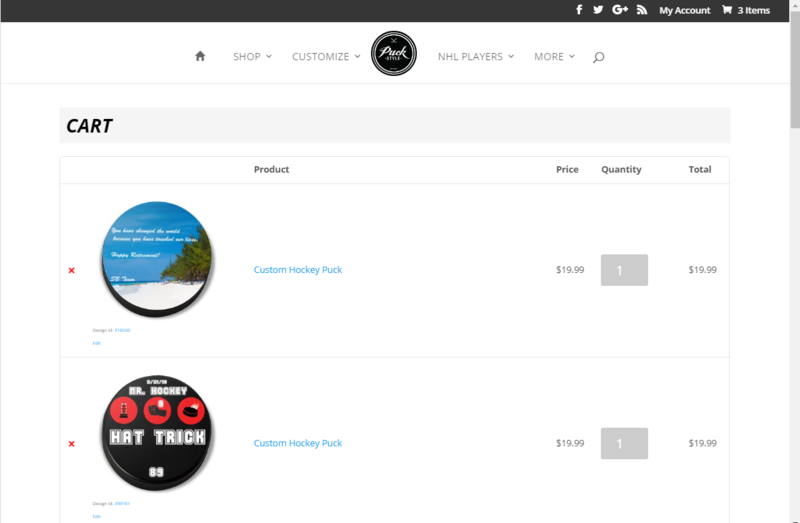 It will load the template associated with the product after the user clicks the “customize” button on the product page, where the “add to cart” button would normally be. By default, any design saved will land in the shopping cart, and the user will be redirected to cart to checkout. 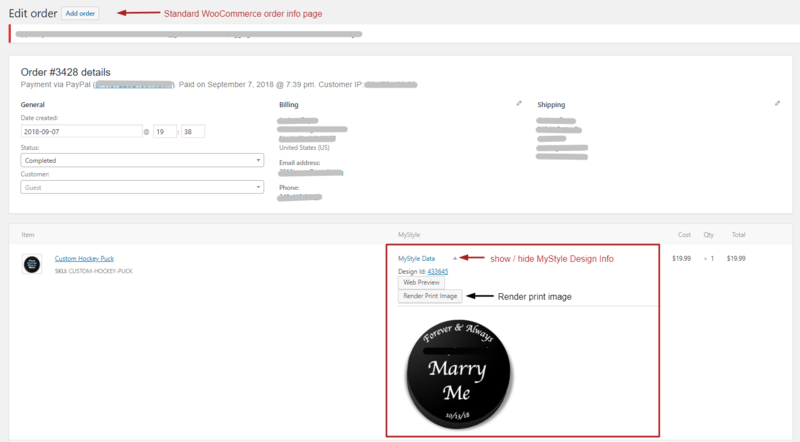 The image of their design is shown as a thumbnail in the cart, to confirm their creation made it through OK.
You can access print file render links through the wordpress admin in the same place you would normally find your woocommerce orders. There’s an extra column with a link to show the MyStyle info including a preview image and link to the render. 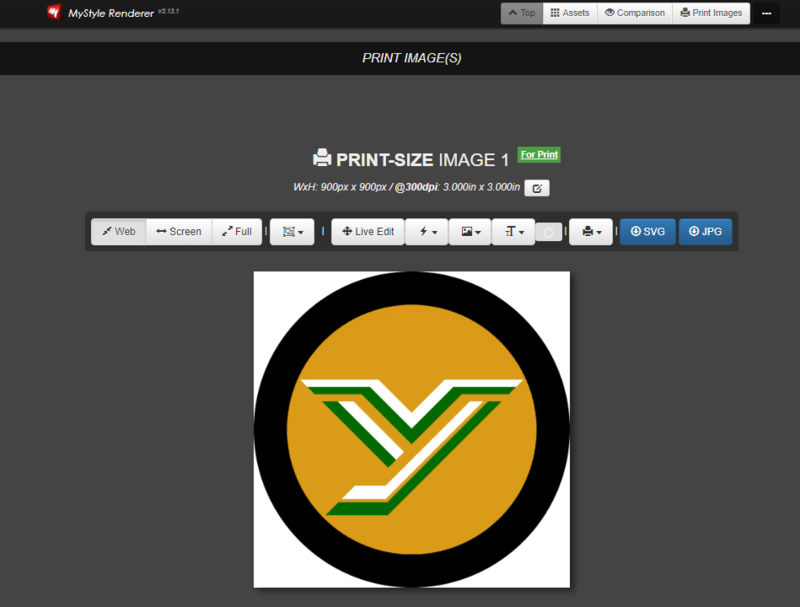 Use the Design Manager add-on (free) to see a list of all the custom designs, and get quick links to their pages, or print renderings. 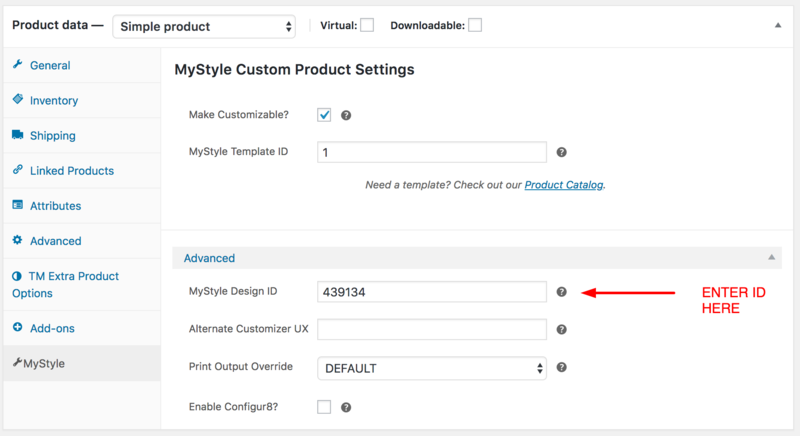 If you want a product to load with a design every time, as a starter template, you can put the design ID into the advanced product settings in the MyStyle product settings tab. 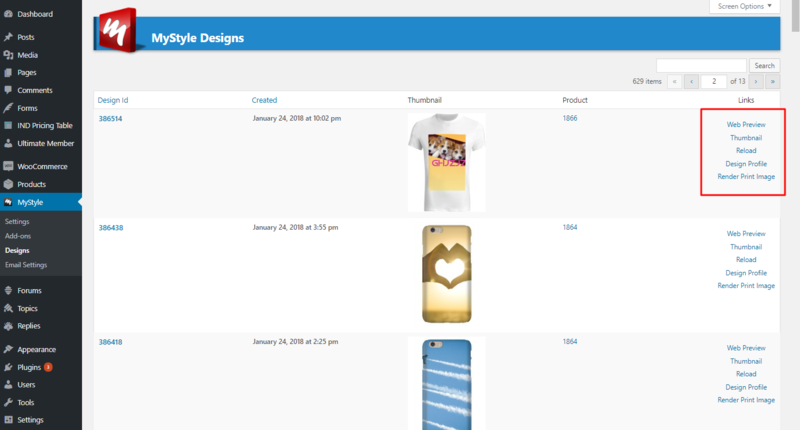 Here’s an example of product template ID 1 being set for a product, and design ID 439134 being set as the permanent design that will always load for this product as the starting point in the customizer, instead of starting from scratch.